Former Pakistan Prime Minister Nawaz Sharif on Wednesday urged Prime Minister Shahid Khaqan Abbasi to devise a strategy to make the country self-sufficient and independent of the need for US aid. "There is no need for the US to refer to the Coalition Support Fund as ‘Aid to Pakistan'," the PML-N President told the media here, Dawn reported. Sharif described as "disappointing" US President Donald Trump's accusation that Pakistan was granting "safe haven" to militants Washington was hunting in Afghanistan. "Pakistan has been involved in somebody else's war for over 17 years. The country has suffered the brunt of the damage the world has seen since 9/11," Sharif said. "The US President should not forget that my ... Pakistan Muslim League-Nawaz (PML-N) government pledged to eradicate terrorism from Pakistan when it came into power in 2013." 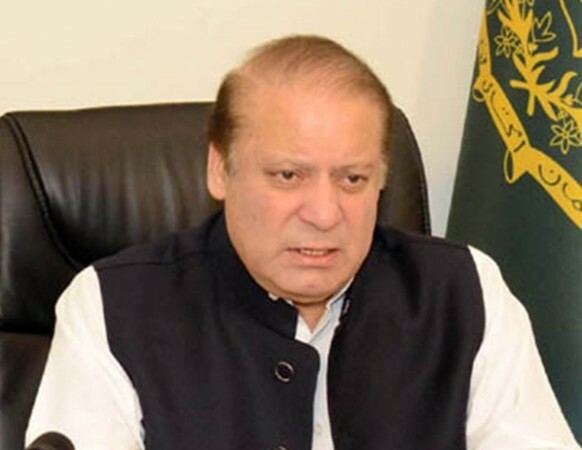 The ousted Prime Minister noted that responsible members of the international community respected the norms of diplomacy when in direct communication with other nation states. "Pakistan should not be taunted or threatened with the prospect of aid and labelling the CSF as aid is not correct," he said.